The biggest North Korean migrant community outside East Asia is located in a somewhat unlikely place; New Malden. U.K., a suburb in southwest London (see Figure 1). Figure 1 – The street view of New Malden (Picture taken by the author). Approximately 1,000 North Koreans live alongside the established community of over 12,000 South Koreans. In the ‘foreign kitchen’, what North Korean migrants do is recreate the authentic ‘traditional North Korean food’ that they have not had; decades of famine and national isolation have alienated people from basic meals and dishes that are part of the history and traditions of their country. It is ironic that their culinary heritage is being rediscovered, enriched and preserved outside North Korea while it is rapidly disappearing in their homeland. 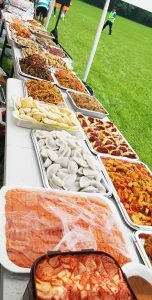 This paper tackles the following questions: ‘how do they recreate their-own-but-unfamiliar traditional food?’, ‘how does cooking traditional food overseas affect the safeguarding of North Korea’s culinary heritage?’, ‘how has the experience of cooking traditional food as an immigrant affected the reconciliation between the two ethnic groups?’. I use ethnographic methods to critically understand the role of culinary heritage in community life of migrants. 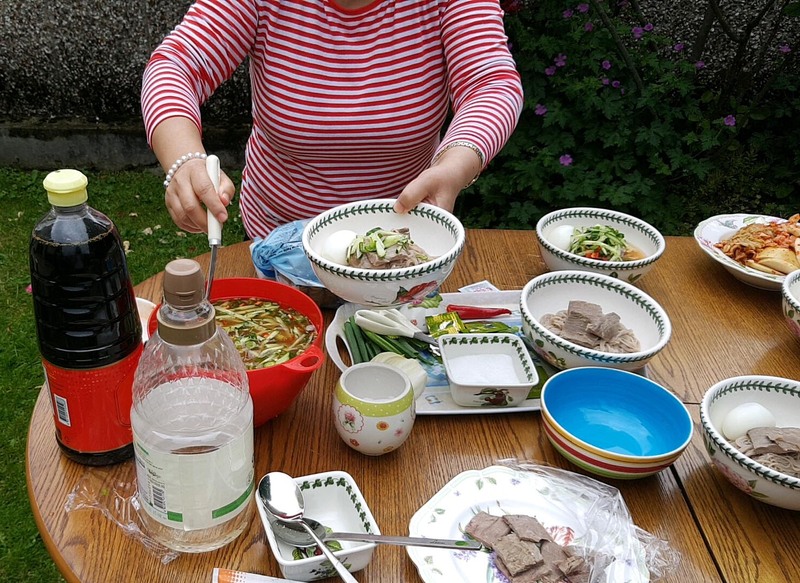 Interviews and participant observations are used, notably including volunteering in the communal kitchen, joining community events, and having meals in North Korean families’ homes in 2018. Having had deeper involvement with the community, it has become clear that North Korean immigrants’ cooking or practicing of traditional food was unique, due to their distinctive life experiences back in North Korea; age-old famine and poverty, limiting the freedom of movement and international isolation. I have lived in North Korea my entire life, but I have not seen or had Pyongyang Naengmyeon. I have never been to Pyongyang, even the area near. I guess the citizens of Pyongyang can have Naengmyeon from time to time? It is the dish that governors, high-ranking officials and foreign tourists can have. I heard that you have to pay in the dollar to have it. People like us could not even dream of having it. What was the real North Korean Naengmyeon like? It was a soft and delicate taste than I imagined, there was no ice on it, and it was served with a mung bean pancake. What Lim made for us was not the same as authentic Pyongyang Naengmyeon, but it was a re-creation of the dish that she had imagined (see Figure 2). Figure 2 – A North Korean woman making Naengmyeon, a traditional Pyongyang delicacy (Picture taken by the author). Until the mid-1980’s the government distributed several hundred Chinese cabbages per family, so that people could make Kimchi in the late autumn. Kimchi was almost the only food we could have to survive winter and early spring. In the 1990’s, as the national economy collapsed, it became harder to get the cabbages and other basic ingredients for making Kimchi. One time, we used sea water instead of salt. We could not afford the garlic and chilli powder as well, so we skipped putting them in Kimchi. I make Kimchi every time we run out of it, because I can buy Chinese cabbage whenever and wherever I want in New Malden. Fresh vegetables are always on the market throughout the year, so I make Kimchi whenever I want to. Although the frequency/timing of his Kimchi-making has changed, he has come to follow a more authentic recipe with original ingredients that he can get in New Malden. He restored and recreated the taste he has lost for some time. 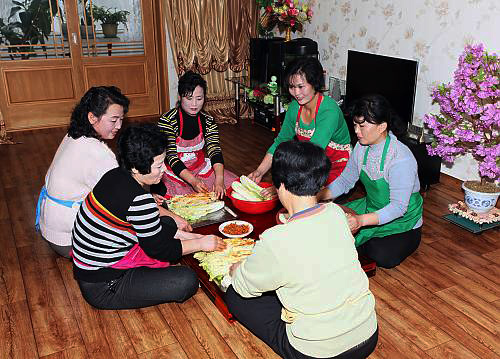 Figure 3 – Women in North Korea making Kimchi (© Korea National Heritage Preservation Agency, 2013). We sometimes make the same side dishes with pollack as we had in North Korea. And this is the pollack from North Korea. I buy North Korean pollack here. You can purchase it through a private retailer who is in China. You call this person and he will get you the North Korean fish to your home in New Malden. It’s a bit expensive, but it’s something you cannot have it ordinarily. The pollack is imported from North Korea to China. They are sweeter and more savoury than the one from Britain or Russia. I can tell. We used to have seasoned and broiled pollack dish three times a year in North Korea, when it was our biggest national holiday, i.e. Kim Il-sung’s birth day, or when we had a memorial ceremony for our ancestors. Perhaps people living near the sea or rich people would have eaten it more often. Pollack was special, and I liked it. I wanted to have it more, but I couldn’t back then. I miss North Korean sardines. Until the 1980’s we had fish markets. We used to buy sardines and cook them with water parsley and white radish. It was a delicacy in Cheongjin, a small fishing village, where I came from. We also dried pollock and have it with cooked rice during winter. However, fish markets started to disappear from the mid-1980’s, and after that it became very difficult to find fish at a reasonable price. It was hard to see good sardines and pollock on the table. Most of the fish we caught were collected and exported to China. Traditional North Korean local food was already in danger because of the food rationing system that was implemented in the 1950’s (Ministry of Unification, 2016). North Korean cuisine has been centrally managed; a government body called ‘Cooking Association in DPRK’ has researched and developed the cuisine of North Korea (Kim, 2012). In the 1980s and 1990s, ‘national cuisine’ such as ‘meat noodles’ and ‘catfish stew’ were developed as directed by Kim Jong-il (Lee, 2001: 77).However, these artificially developed national dishes failed to be popularised among the public. Many dishes disappeared during the 1995-1998 notorious Great Famine, the so called ‘march of hardship’ in North Korea. It is surveyed that North Korean escapees had the perception that they can have traditional food only on days such as Kim Il-sung and Kim Jong-il’s birthdays (Lee, 2012). If we were as wealthy as Britain, wouldn’t we have eaten like them? If you see the food culture of North Korea, it’s either grass or roots of the plant. We made Ddeok (rice cake) to make one feel full with small portions of the grain. We always made a soup out of meat to maximise the quantity. We have food culture like this, because we were poor. If we could have had nutritious food, the way we cook and consume it would have been different. The fact that local cuisine is disappearing in the North Korea means that their original cooking heritage is being preserved by people who remember the recipes, cook and consume it outside of North Korea. This is reinforced by community events where they learn, share and taste different local cuisine of their home (see Figure 4). 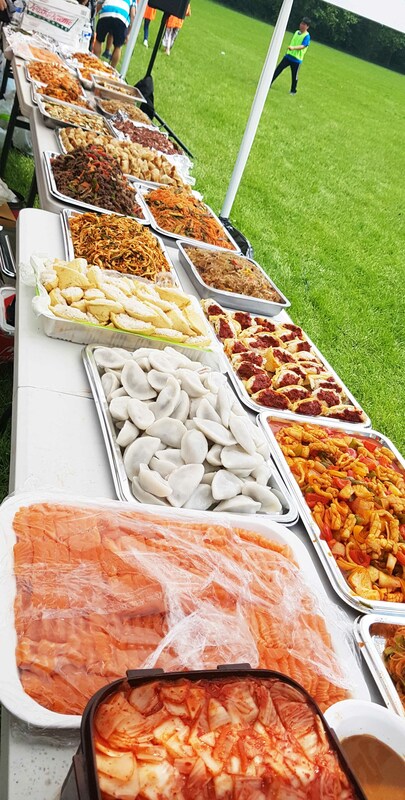 Figure 4 – North Korean migrants prepared and brought food to the North Korean sports day (Picture taken by the author). My children were born here, but they enjoy fermented soybean soup, and love Kimchi. When the children come back from school in the afternoon, they ask me to cook Korean food. They particularly ask for Kimchi if I don’t prepare it on the dinner table. I make Kimchi in a large quantity in winter with my children. They enjoy it. It is somehow in our blood. We don’t communicate each other. I do not know why the media has misled people as if we had a good relationship: ‘New Malden: small Korea unified ahead of the time’. That is a lie. We are definitely not unified. South Koreans see us as poor, uneducated, uncultured people, but we are the people who are more experienced in life. They have never helped us even though they know that we are in financial difficulty. 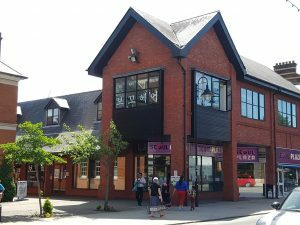 The Korean Senior Citizens UK Centre communal kitchen is the only exceptional place to bring them together in New Malden. It offers a free Korean lunch (£3.50 to visitors) to the elderly Koreans from Monday to Friday. 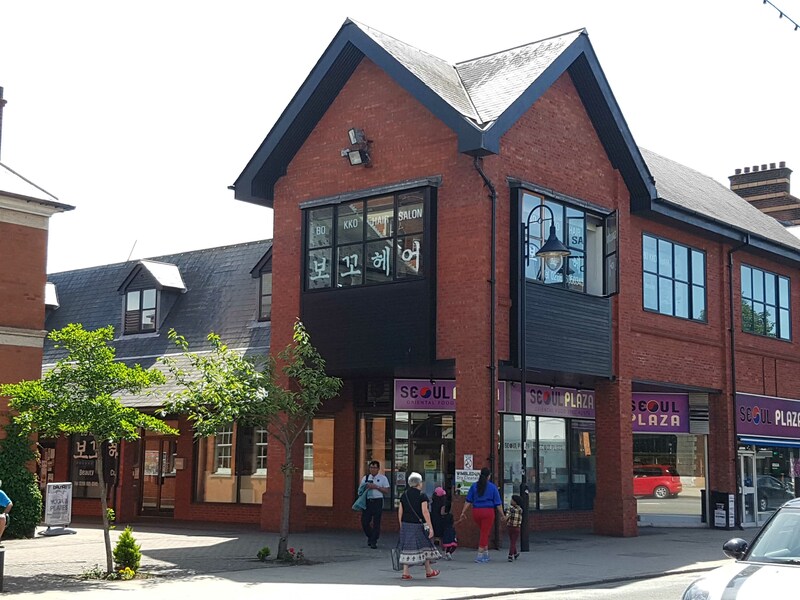 Unlike other Korean organisations in New Malden, this is almost the only place where South and North Koreans work together. The kitchen was run by South and North Korean volunteers, all women, and they do the cooking and dishwashing equally (see Figure 5). 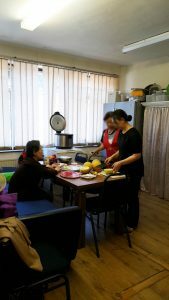 Figure 5 – Volunteers preparing food in the communal kitchen in the Korean Senior Citizens UK Centre (Picture taken by the author). Today’s menu is pork cartilage dish which I cooked, but even I don’t know whether it is Korean, Chinese or British. The dish is genuinely my style. It was delicious though. In North Korea, we rarely grill or broil the meat and almost always boil the meat and make loads of soup out of it. That way, you will be able to live a week with a single piece of meat. In particular, one of the factors that connects the two Koreas in the kitchen was Kimchi. Making Kimchi is a communal practice in Korean culture, usually with family or neighbours. Although the recipes somewhat differ depending on regions, it is common to make spicy and sour vegetable dishes seasoned with salted cabbage with chilli flakes and fermented fish. Kimchi is served as an essential side dish that cannot be missed in every meal in both Koreas. Kimchi has been inscribed on the Representative List of the Intangible Cultural Heritage of Humanity by UNESCO because it is an indispensable traditional food and custom in Korean culture. This shows that Kimchi is regarded as the most important tradition in the community in the two Koreas. Culinary heritage can be a tool for reconciling two societies. My research shows that not only is the community safeguarding intangible cultural heritage, but also the intangible cultural heritage is safeguarding the community. Most of the North Korean migrants that I talked to were practicing their culinary customs and it strengthened their community. As Chiang (2018: 293) stated: ‘communities play an important role in the production, safeguarding, maintenance and recreation of the intangible cultural heritage; and the safeguarding of ICH contributes to the fostering of cultural identity, human rights and sustainable development of the communities of concern.’ This is well represented in the case of a Soonyo Park who recently launched a YouTube series in New Malden to promote North Korea and its cuisine. A former refugee, Park started a Youtube channel this year titled ‘North Korean Cooking with Soonyo’ (https://www.youtube.com/channel/UCKNIhhuynVDMVM2UkHn84-A), and filmed herself everyday cooking ordinary North Korean cuisine. Speaking with me, she said through YouTube that she hopes people around the world will be interested in North Korea and that this will help improve the human rights situation in North Korea. In the video, she talks not only about the food but also her life in North Korea, how she escaped, and what she wants for her country. Chiang, M. (2018). Intangibility re-translated. In Safeguarding Intangible Heritage: Practice and Politics(p. 293). Lee, S. and Lee, W. (2011). The relationship and the reciprocal perception of South Koreans and North Korean refugees in New Malden [영국 뉴몰든 코리아 타운 내 남한이주민과 북한난민 간의 관계와 상호인식].North Korean Studies Review,18(1). Lee, H. (2001). The Story of the North Korean Food.pdf. Unified Korea,212, 77.